French Riviera is a wonderful place for those who admire sport and active recreation. GrandazuR offers you various kinds of active recreation on and under the water. Cote d’Azur in France is truly considered to be the center of water sports. Windsurfing, sailing, canoeing, kayaking, rafting, kitesurfing, scuba diving, jet ski and a host of other activities are waiting for you at the most beautiful coast in the Mediterranean Sea. One of the most popular water sports on French Riviera is kayaking. The best places for kayaking are: Nice, Antibes, Mandelieu, Saint-Laurent-du-Var and Cannes. 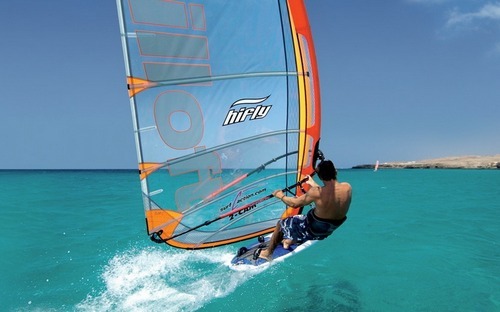 Among others, you should try adrenalin kitesurfing, which is becoming more and more popular on French Riviera. Choose the kind of sport you like and we will take care of the rest! If you are interested in water sports on the French Riviera. You may also fill out the form mentioning the information of interest. Once we receive your request, we will contact you as soon as possible.